MacArthur High alum Phanta Jack Phoummarath, 18, died December 10 in a fraternity house on the University of Texas campus in Austin. The Travis County medical examiner ruled the cause of death as acute alcohol poisoning. Phoummaraths body was found following a party to celebrate the acceptance of Phoummarath and six other males as new members of Lamda Phi Epsilon, a national Asian-American fraternity. An investigation is continuing. So far no charges have been brought against the fraternity or its members. The fraternity is a registered student group on campus, but is not an official fraternity in the schools Greek system. Lamda Phi Epsilon is now on temporary suspension while UTs administration gathers more information. The Phoummarath family moved to Houston in 1979 after emigrating from Laos. Jack was the youngest of five children. Those who knew Jack say he was a generous, bright, people-person. Jack was known to tutor classmates, give a ride to friends, and help out whereever needed. According to research conducted on alcohol and metabolism, for an average sized young man to suffer acute alcohol poisoning, he would have to consume the equivalent of 12 beers in one hour. One to two students die each year on the UT campus from alcohol poisoning. Phoummarath is the first student to die from alcohol poisoning in Austin this year. This is the second such death in the Lamda Phi Epsilon fraternity this year nationwide. Each year, 1,700 18-to-24 year olds die from alcohol related auto accidents and alcohol poisoning, according to the National Institute on Alcohol Abuse and Alcoholism. In addition to the 1,700 deaths, alcohol is linked to 50,000 injuries and 97,000 incidents of sexual assault among students alone each year. During the Dec. 13 Aldine ISD Board of Education meeting, Dr. Alton Smith was named to fill the unexpired term of former Trustee Emmett W. Hill, who resigned in October due to health concerns. Dr. Viola M. Garcia, chairperson of the Selection of New Board Members Committee, along with committee members Marine Jones and A.W. Jones, received numerous nominations to fill Hills seat. The committee was given information on all candidates and candidates were interviewed by the entire board for the Position 2 seat. After careful consideration and much discussion, the committee recommended to the entire board that Dr. Smith be chosen to fill Hills unexpired term. Dr. Smith is a resident of the Inwood community and currently serves as principal of Nitsch Elementary School in Klein ISD. Nitsch Elementary is a nationally recognized Blue Ribbon School and a TAAS Exemplary campus. He has nine years of experience in the field of education. AISD Board President Rick Ogden, along with the entire board, welcomed Dr. Smith to the board and looked forward to working with him. Dr. Smith also served as a special education teacher in Goose Creek ISD and Klein ISD and as a department chair and assistant principal in Klein ISD. Prior to entering the public education field, Dr. Smith spent more than 30 years in the private sector in human resources with Shell Oil Company. He worked in benefits processing, payroll, recruitment, labor relations, wage and salary administration, training and development and safety and industrial relations. Dr. Smith holds a doctorate in educational leadership from Sam Houston State University, an MBA from Texas Southern University and a BS in business administration from Southern University in Baton Rouge, LA. Dr. Smith is a member of various civic and professional associations and organizations and his children are graduates of Aldine ISD schools. He is a member of the Educational Leadership Advisory Board at Sam Houston State University, the Klein Education Association, past president of Kappa Alpha Psi Fraternity, a member of the Texas Association of Secondary School Principals and of the Texas Elementary Principals and Supervisors Association. He is also a member of the Texas Association of School Administrators, the Southwest Educational Research Association and the National Dropout Network. His civic activity includes membership in the Sam Houston State University Alumni Association, and the Southern University Alumni Association. He also serves as coordinator of new members committee of Living Word Fellowship Church. Dr. Smiths wife Marjorie is a former Aldine ISD teacher. Police are still searching for whoever shot at the Jesse Jackson Academy school bus December 9 as it was stopped in the 5800 block of Mesa Drive at 10 p.m. One of the bullets pierced a bus window and hit Gregory Grant in the head. There were 23 students aboard the bus during the shooting. Grant is the southeast Houston charter schools assistant principal and basketball coach. The schools team was returning home after a basketball game against Smiley High School Friday night. Grant was released from Ben Taub Hospital Monday, December 12. The bullet ricocheted off his skull and left a blood clot on his brain. Grant is now unable to use the left side of his body. He is expected to recover after extensive physical therapy. Students said they saw three men standing near the bushes along the side of the road and believe they may have been the shooters. This was the second of three shooting at a school bus in the Houston area. On Tuesday, December 13, someone fired a BB gun at a Cy-Fair ISD bus as it drove near Eldridge and West Little York. Flying glass from the shot hit a sixth grader in the neck. Authorities are still investigating the incident. Earlier in the month, an eighth grade Cy-Fair student was caught after he shot a BB gun at the window of a parked school bus full of children. No one was injured in that incident. The student was disciplined. EAST HARRIS COUNTYHarris County Precinct 2 Commissioner Sylvia Garcia is asking voters to give her four more years in office. On Dec. 3, the first day of filing for the March 2006 Party Primaries, Garcia threw her hat in the ring for the Democratic nomination. Garcia, the first Hispanic woman to serve on the court, was elected in 2002 after then-Commissioner Jim Fonteno chose not to add to his close to 30 years on the court. Among her accomplishments during her first term, Garcia points to improving flood control, expanding the precincts senior citizen program, strengthening infrastructure and creating the first-ever post of full time director for homeland security issues for the precinct. Weve made great progress toward making Precinct 2 a better place to live, work and raise a family, but theres still more to be done, Garcia added. 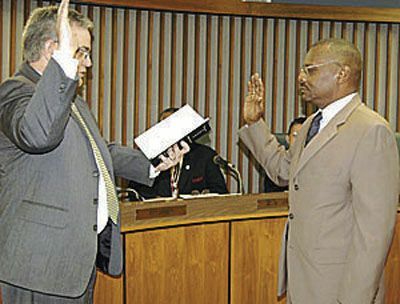 Prior to becoming commissioner, Garcia served as comptroller for the City of Houston, and director and presiding judge of the Houston Municipal Court System. According to a spokesman for the Harris County Republican Party, no candidate had filed as of press time no candidates have file to run for the GOP nomination for the office. As of presstime, Garcia also has no challengers from within her party. Garcias court colleague, Jerry Eversole, has filed for reelection for Precinct 4. Eversole, a Republican, had no challengers in either party as of presstime. Law enforcement officers are responsible for bringing criminals to justice. Its our job. Yet, our duty to serve and protect also compels us to reach out to victims who are left battered and broken  physically, emotionally and often financially  in the wake of the violent crimes committed against them. One of my great privileges as Attorney General is to partner with crime victim advocates across Texas who walk through the recovery process with crime victims in their communities. Many advocates are victim assistance coordinators (VACs) or crime victim liaisons (CVLs) who work for local law enforcement agencies and prosecutors. These caring people help crime victims in their areas find counseling, emergency shelter, or funds to cover expenses they have incurred as a result of the crimes committed against them. This year, my office awarded $29 million to 326 nonprofit and community groups across Texas that aid victims of crime. Of that amount, $2.3 million went to 64 district and county attorneys, sheriffs offices and police departments to fund VAC and CVL positions. Last years funding enabled law enforcement and prosecutors to assist roughly 24,000 victims of crime and we hope to help even more this year. Take the example of a 15-year-old girl in Lamb County who was sexually assaulted by a high school coach. During the trial preparation, the victim assistance coordinator in the Lamb County District Attorneys office realized the girl was not ready to testify. The VAC worked closely with the victim to make her feel more comfortable, taking her to see her counseler, visiting her at home, and accompanying her to the courthouse. The defendant pled guilty before the trial was to begin, but the sentencing phase may still require the victims testimony. If the girl is called to testify, she will be ready, thanks to the help and support of the Lamb County District Attorneys VAC. Crime victim grants are critical to help children who have been assaulted, women who have been abused, and other victims of violent crime get the medical attention, grief counseling, legal services and other assistance they need to put their lives back together. Coordinators and liaisons also help victims by orienting them to the criminal justice system; accompanying them to appointments; notifying them of changes in offender status, investigative status or court events; assisting with crisis intervention; helping with restitution requests; and intervening with an employer on behalf of the victim. VACs and CVLs also provide training about victim rights to law enforcement and others in the community, and promote victim rights through the dissemination of public information. The grants mentioned were made through my Crime Victim Services Division following a formal application and review process. The funding was approved by the 2005 Legislature and is provided through the state Crime Victims Compensation Fund, which my office administers. In addition to these crime victim grants, last year our Crime Victim Services Division provided more than $85 million from the Fund to directly help victims pay for medical and emergency out-of-pocket expenses and other costs associated with the crimes committed against them. There is nothing we can do to fully erase the pain which violent crime inflicts. But I am pleased my office is able to work with crime victim advocates across the Lone Star State to help victims rebuild their lives. Christmas 2005! It is almost here and the young children of Christendom can hardly wait as these final days and hours tick down to the special night, Christmas Eve, and the arrival of their gift giver. And the gift givers of the world are ready for their big night. I can remember, at a tender age, having a terrible time going to sleep on Christmas Eve. Gifts have probably been given among families and friends for centuries before the birth of Jesus Christ, for whom we celebrate Christmas. But the mythical gift givers of the world, such as our own Santa Claus can look back upon a real live human as the time of their beginning. Certainly one of the most famous gift givers in the world was a man named St. Nicholas who was born some 270 years after Christ on the shores of the Mediterranean in Lycia, now a part of Turkey. As I recall he was consecrated Archbishop of Myra while still a young man. He lived a difficult, hard life that was also filled with grace, Worship and giving. He was imprisoned and tortured during the reign of one Roman Emperor at a time when many Christians were persecuted. One of the less known facts about St. Nicholas is that he was a gift giver to children and the poor during his lifetime and many, many stories abound to this day about his giving of gifts. In some European countries, children know he still exists and travels on the eve of his day, December 6, to deliver his gifts. He was arguably the foremost Saint in Christendom from the thirteenth century until the Reformation. With many he still remains so. Down through the years gift givers such as Santa Claus, Old Father Christmas and Kris Kringle have probably all stemmed from the many stories, truth and fables, of this famous St. Nicholas of the Mediterranean. Other countries have their gift givers as well. They visit children on a special night during the year. Some are men, some women. In Italy for example there is the famous good witch, La Befana, who can be seen on the Eve of Epiphany, January 6, flying across the dark winter skies of Italy swooping down the chimneys of homes of children with her gifts. Her beginning dates back to the birth of Christ when the three kings, Melchoir, Gaspar and Balthazar who, as the legend goes, journeyed through Italy on their quest to find the Christ Child. They stopped, asked La Befana for directions and invited her to accompany them. She refused. After they left she changed her mind and tried to find them, became lost and never made the trip. We really dont know how many kings sought that Christ Child but the threeMelchoir, Gaspar and Balthazarare often pictured as three who made the journey. Perhaps their gifts of gold, frankinsense and myrrh are perhaps the best-known gifts ever given. Russia has several known mythical gift givers, one another woman known as Babouschka who suffered the same fate as La Befana. Another that is known to frequent this vast land in Europe and Asia is Kolyaka. She also walks about the towns and villages of certain parts of Russia on Christmas Eve. In Germany there is the Christ Child, a representative of the greatest gift giver of all, Jesus Christ, the giver of life itself. The Christ Child is the gift giver who grew out of the Reformation. Sometimes this gift giver appears as a young boy, sometimes a young girl and other times in the abstract. The Christ Child leaves apples, nuts, sweets and other gifts for young German children. Holland has perhaps the most unique mythical gift giver. Here St. Nicholas has a partner named Pete. They arrive by boat from Spain in mid-November. Once there they begin the task of checking behaviors of the young. St. Nicholas travels on a magnificent white horse and Pete follows, dressed as a Moorish servant carrying switches and a large bag on his back. For the bad little boys and girls he leaves a switch or a lump of coal. For those with the worst behaviors he loads them in his bag and takes them back to Spain. Why Spain? I have no idea. 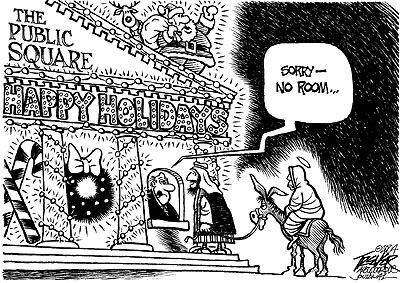 Whatever the legends and truths of a nation or region, Christmas is a special time. It is a time of gift giving (hopefully more than receiving) and Worship. The churches of the Crosby-Huffman area invite you to Worship within their walls as part of your giving this Christmas season. Does life really begin at 60? Read with interest this morning the article about the first batch of baby boomers turning 60 beginning 2006. Oh Lordy I thought, that includes yours truly. Just think, in 20 years Ill be 80 years old. That my friend is older than dirt. Of course, used to think people past 40 were old. Having out lived both parents age by 7 years, one feels fortunate to have made it this far and long. Would like to hang around long enough to see if the granddaughters have twins since they run in the family. The Mrs. says twins are from the womans side of the family and I had nothing to do with our set of twins. First off, my mother was a twin and I had a little something to do with our set of twins thank you very much. We were married for 13 months and had two kids. Bad health and limited physical problems are what make people seem old. Of course, our twins going on 35 are enough to make one feel old or at least older. Seems as though the secret for feeling young is by staying busy and some regular exercise; the key there is regularity, it works in more ways than one. The big city paper showed 30+ photos of people hitting 60 years old in 2006. Some look real good, while some others look rode hard and put up wet. Interesting article indeed as I found out Tommy Lee Jones and Oliver Stone are 6 days older than me. Poor ole Jimmy Buffets birthday is December 25th. What a bummer. Does life really begin at 60? You tell me. One must not take life too seriously, cause nobody gets out alive anyway. Statistics show that at the age of seventy, there are five women to every man. Isnt that the darndest time for a guy to get those odds? Maybe its true that life begins at sixty. But everything else starts to wear out, fall out, or spread out. Old age is when your friends compliment you on your alligator shoes and you are barefoot. The trouble with old age is that it does not last long. Old age aint no place for sissies. Is Indy-Seattle game a preview of Super Bowl 40? First things first: Heres wishing all of you a safe and happy holiday season. This is a wonderful time of year to be with family and friends, so be sure to spend as much time as possible with your loved ones. Now, lets get down to the business at hand. In addition to sharing time with the family, opening gifts and enjoying plenty of good food, the Christmas weekend also brings with it a plethora of NFL games from Christmas Eve to the day after Christmas. NFL fans should find plenty of games to view while they are digesting their turkey or roast, and the one played between the Colts and Seahawks in Seattle could be a preview of Super Bowl 40, set for February in Detroit. It could also be the day the Colts quest for an undefeated season comes to an end. But before we look at this weekends games, lets review last weeks record. A strong 7-1 week brought the season record to 88-52 (62 percent). 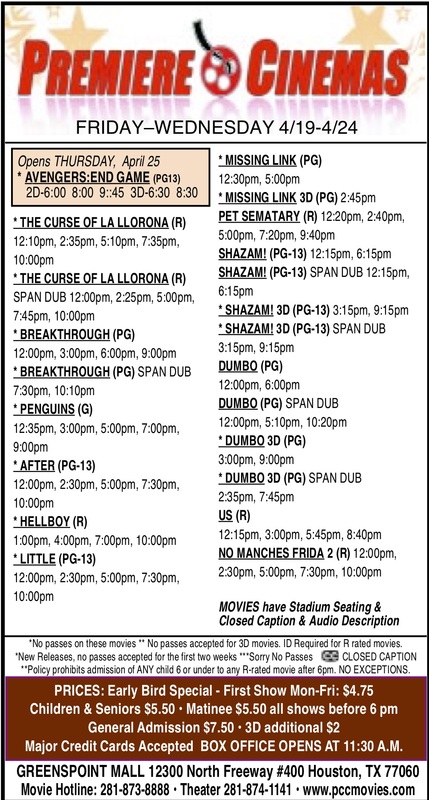 Now, lets take a look at this weekends schedule. Joaquin Phoenix is no Johnny Cash. But then, who is? Therein lies the problem with “Walk the Line,” director James Mangolds biopic of the legendary perfomer. Rather than have Phoenix lip-sync to recordings of Johnny Cash, Mangold has the actor re-create the performances himself. Big Mistake. Phoenix tries hard to mimic Cashs voice and mannerisms, but he falls painfully short, especially in the singing department. To Phoenixs credit, though, he does do an admirable job of conveying that cocky, onstage Cash presence. Another challenge for Mangold is how to tell the story of a man whose career spanned six decades. He gets around this by concentrating on the early years of Cashs career leading up to his legendary comeback concert at Folsom Prison in 1968. The film begins backstage at Folsom Prison as Cash is preparing to go on. He isnt in a dressing room, but rather the prison workshop. He stares at a circular saw, and the film goes into flashback mode, back to Cashs turbulent and traumatic childhood. His father (Robert Patrick) is an abusive alcoholic, and when Johnnys brother dies in a sawmill accident, his father blames Cash for his death. Cash gets signed to Sun Records, goes on tour with Elvis (who gets Cash hooked on amphetamines) and meets June Carter (Reese Witherspoon). Cash adores June, but circumstances (like her already being married and his becoming an alcoholic and junkie) keep getting in their way. The romantic angle of the film couldve been so much more if there had been more chemistry between the two actors. I went into this film prepared not to like Witherspoons performance, but she does such a spectacular job, you cant help but fall in love with her. 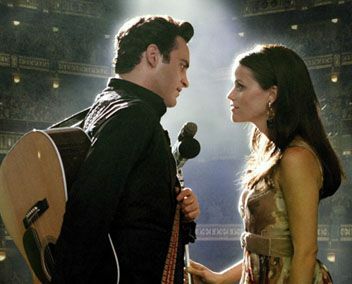 “Walk the Line” is an almost good/almost bad movie. Its title sums up the film perfectly. When the performances are right on, the film shines, but the flashbacks are so brief and episodic that often the movie feels more like an E! True Hollywood Story with a budget rather than a dramatic, polished motion picture. If youre a fan of Cash, I think youll be disappointed. But the casual filmgoer could see it at a matinee and not feel cheated.